From (11-13.30h) and from (15.30-17h). We will contact you 24 h before flight to confirm the departure time. 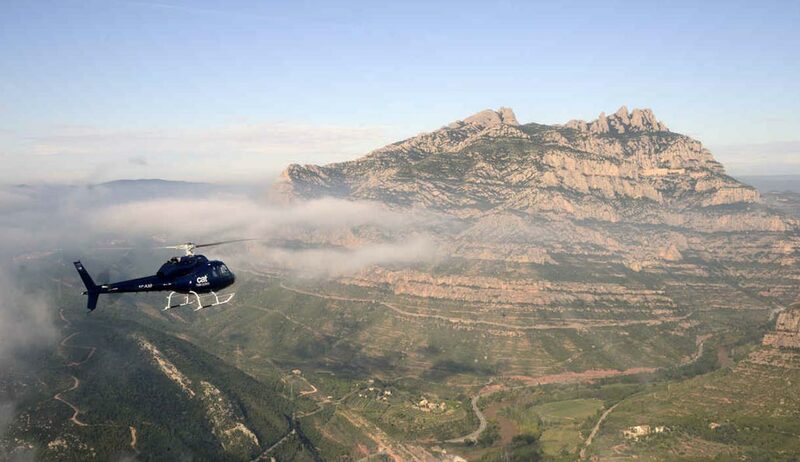 Enjoy 35 minutes of helicopter flight over Barcelona coast and Monserrat. Contemplate the spectacular views of the Barceloneta beach and the beautiful mountain of Montserrat. 35 minutes of helicopter flight in Barcelona coast& Montserrat with company recognized by the Spanish State Agency for Aviation Safety. Flight over the center of Barcelona city, due it is currently restricted. 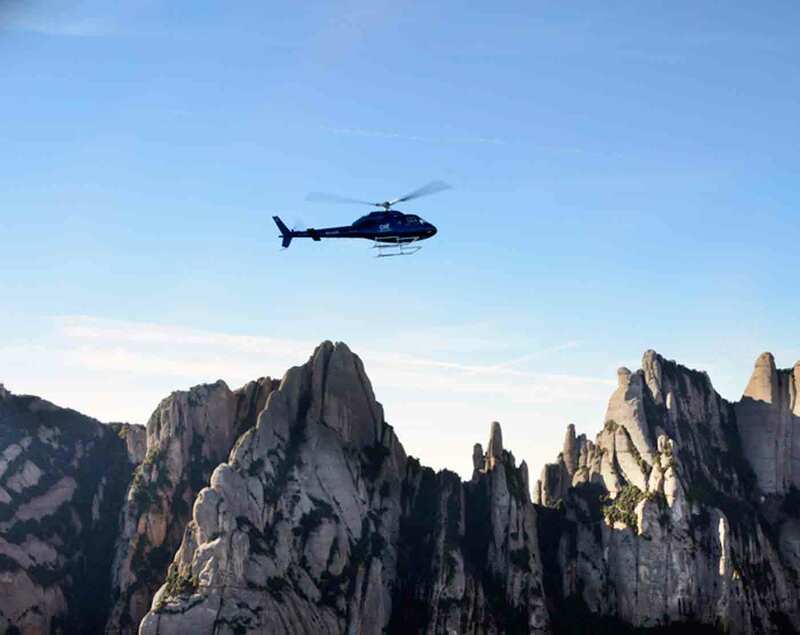 Enjoy an exciting 35-minute helicopter flight on the coast, the city of Barcelona and Montserrat. 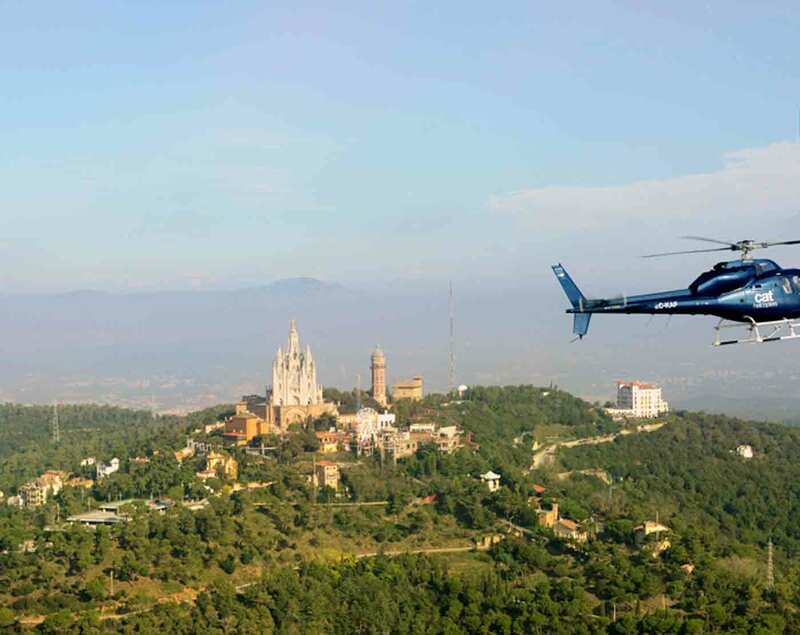 It is a complete helicopter flight that will allow you to see the best of Barcelona and enjoy the spectacular panoramic views. Admire from the air the iconic Sagrada Familia , the Park Güell , the Camp Nou (the football stadium of Barcelona), the beaches of the Barceloneta , the Olympic Port , the Agbar Tower, the stadium and Olympic Ring, the Tibidabo, the Diagonal Avenue and the urban fabric of the Eixample, in addition to the Castillo de the Mountain of Montjuïc. After contemplating the main attractions of the coast and the city, you will fly to Montserrat. Montserrat is the most important and mysterious mountain range in Catalonia, with an outstanding number of churches and hermitages, noted for its Benedictine monastery dedicated to the virgin of Montserrat: "La Moreneta". We are waiting for you at the heliport in the center of Barcelona to enjoy your flight by helicopter. From the flight terminal, you'll have access to free internet and hot or cold drinks at your disposal, before heading to the boarding area. After the briefing with the basic safety rules and visualize the flight area on the map, an exciting experience awaits you from above. Helmets will be available to protect your ears and help with the embarkation and disembarkation of the helicopter. The total duration of the experience will be approximately 1 hour. Total duration of the experience: 60 minutes. Flight duration: approx 35 minutes. Fue un regalo y nos gustó muchísimo. "Una experiencia que siempre vamos a recordar." Se cumplió todo lo que se indica, aunque se retrasó la saluda unos 15 minutos. "El piloto transmite mucha confianza." Ha sido un vuelo fantástico. "Nos trataron muy bien e hicieron un vuelo muy agradable."